A new kitchen is an expensive investment, and it’s completely understandable you want to save money if possible. The problem is that low price and low quality tend to go hand in hand. That means buying the cheapest kitchens can actually end up costing you more in the long run. The big mistake many people make when alocating their overal budget is to priorotise the worktops & appliances over the units. Often, luxurys like quartz or granite worktops, designer appliances & boiling hot water taps are the must have items on the list. Naturally, this is fine if you have an unlimited budget, however, most people don’t. If you’re working to a more modest budget, say £12,000 for everything including fitting, once you take the cost of the worktops, appliances & fitting out of the budget, you’ll only be left with about £2,000 for the units. The problem with this is that the units are the backbone of the kitchen. 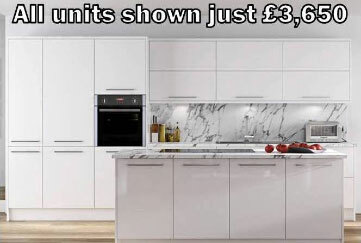 They’ll have to support the extra weight of those expensive worktops, and £2,000 worth of units simply wont be up for the job if the kitchen is larger than about 6 units. For an average sized kitchen comprising say 14 units, decent quality units that are built to last will cost more like £4,000 – £5,000. £2,000 will buy you very low quality units that will soon look tired & worn out after just a few years. If you were building a house, you wouldn’t skimp on the foundations, would you? Buying cheap kitchens for the sake of the extras makes just as little sense. Why avoid the cheapest kitchens? 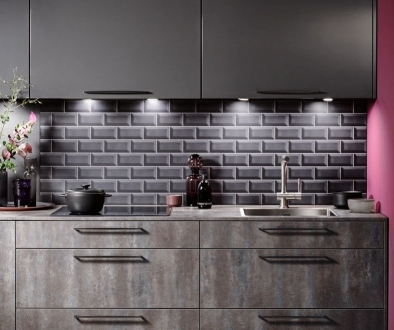 Invariably, the cheapest kitchens will soon begin to look tired & worn out & will need to be replaced within five years. To make it worse, those expensive granite or quartz worktops are likely to crack around the hob & sink area’s when they’re removed, so that’s another £3,000. Add the cost of fitting, and you’ll see why cheap kitchens aren’t really cheap in the long run. As the famous saying goes, “buy cheap, buy twice”. When are the cheapest kitchens all right? Of course, this is assuming you need the kitchen to last. A landlord with a cheap rental property can expect to need the kitchen replaced within 3 or 4 years anyway. In that case, cheap kitchens are fine — but stick to cheap worktops and appliances, too. There are cheap kitchens, though, that are cheap in price but not in quality. Unfortunately chains like Wickes, Magnet and Wren don’t supply them, nor do trade suppliers like Howdens and Benchmarx. You’ll need to find one of the few independent showrooms that offer these kitchens — and that’s where we come in. 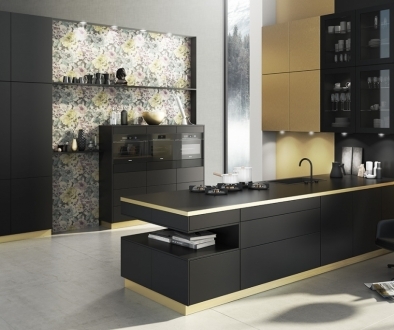 We can find you cheap kitchens that will still be going strong long after you’ve forgotten what you paid. 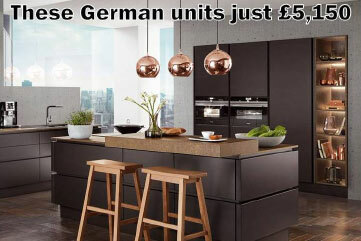 In fact, we’ll find you a luxury German kitchen that competes on price with places like Howdens, Benchmarx, Wickes & Wren, but is much higher quality & will last longer. Plus, you may also get up to £2,500 worth of free worktops & appliances when you buy the units.